This event will be held at our 9th Ave. store. 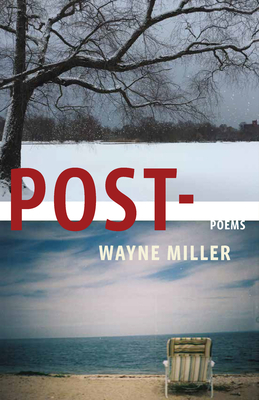 Wayne Miller reads from his new collection of poems, Post-. The poems of this fourth collection from Wayne Miller exist in the wake of catastrophe. It is a world populated by rogue gunmen on shooting sprees, a world where the only inheritance a father has to pass on is his debt. In this world, every box could be a bomb and what comes after is what is lived. And yet, this painful past is not set in stone. The past becomes the present, yielding toward an immediate future. The collection coalesces around a series of post-elegies triggered by three occurrences: the birth of his child, the death of his father, and his experience of the seeming explosion of sociohistorical and political conflict and violence over the past decade. Throughout this series, Miller processes grief, but also cuts through pain to open up a way forward in the aftermath of shared loss. "Post-" thrums with pathos and humor, pain and the beauty of living. The poems of this fourth collection from Wayne Miller exist in the wake of catastrophe, thrumming with pathos and humor, pain and the beauty of living.